Little Legs is such a strong-willed child, a free spirit and certainly beats to the rhythm of her own drum. She isn’t your stereotypical girly girl but that doesn’t mean she doesn’t like girly things either. Little Leg’s knows what she likes and she doesn’t let anyone tell her otherwise, I love that about her. The reason for my post? well i’m of the opinion of, let children be children, let them decide what they like. Don’t tell them what they can and can’t play with, toys shouldn’t be defined by gender. Let them choose what they want to wear, what does it matter? They are children and developing who they are, who are we to tell them otherwise? I’ve seen a lot of posts recently about having gender neutral toys and toy departments and I completely agree, children should not have to choose a toy depending on it’s colour but at the same time, if a little girl wants that pink, glittery, princess doll then let her and if your boy wants to play with that utterly macho playset, then let him. Let children pick what they want to play with, I honestly do not see why we should be making these choices for our children. Why can’t we remove that stigma and just let toys be toys? Because quite simply, that’s exactly what they are, just toys. Little Legs knows what she likes, she is confident and comfortable with her choices and it would break my heart to see her spirit dampened and have her second guess her choices based on another persons opinion. I absolutely adore that she knows her own mind, she doesn’t follow or think that she has to pick what she likes based on what her friends like and I’m happy that she has a lovely bunch of friends that like her for who she is. They humour her in her games of Power Rangers and they do not judge her or comment when she chooses to wear a batman t-shirt. 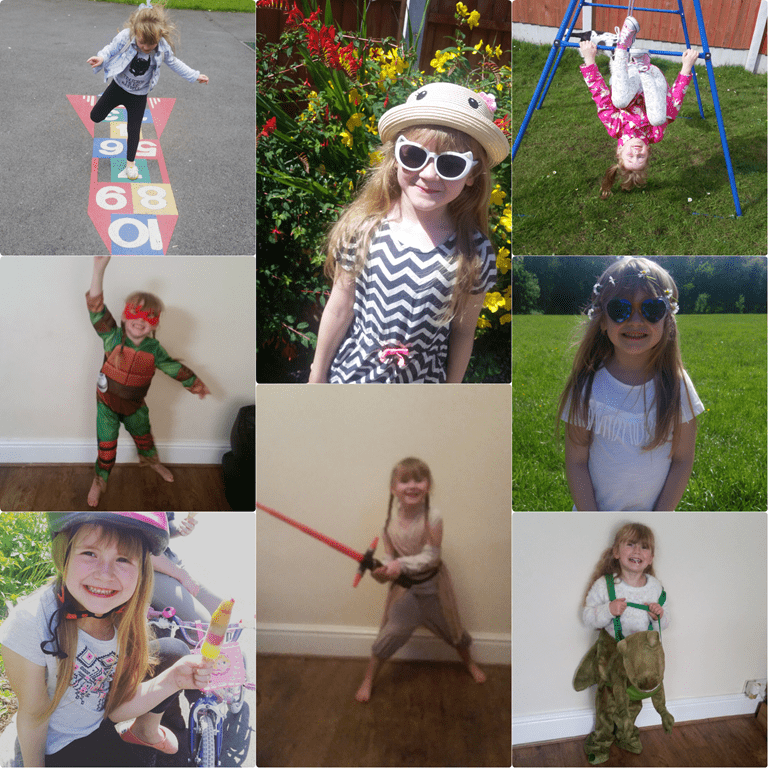 She is also just like any other little girl, she adores all things Disney, she is My Little Pony crazy, she likes to play dress up and can often be found acting out scenes in her dolls house. Just because she is obsessed with Dinosaurs, loves Spiderman and pretends to be a Teenage Mutant Ninja Turtle doesn’t make her wrong, different or any less of a girl. She’s just a confident, young lady and she is happy being who she is. Now if you will excuse me, Princess Twilight Sparkle is marrying Robo T-Rex this afternoon and I have an emergency play-doh wedding cake to make. heheh love it, our kids play with whatever they chose pink or blue! This is such a lovely post. I’m featuring this in my Inspire and Flourish round up.